A bank is helping it’s customers not spend money, yes you heard correctly. 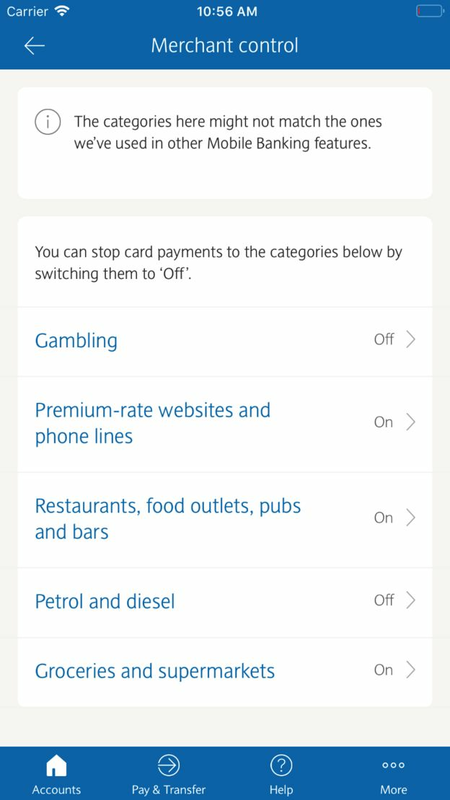 British Bank, Barclays is allowing its customers to manage their spending at certain venues to help them save money rather spend it. A brand, specifically a bank, is using digital to fix a true customer pain point such as exorbitant debt and gambling/shopping addiction. Why does this make sense from a business perspective? Retention, loyalty, and trust. Three things that brands are fighting for everyday and spending tons of money on by digitally transforming themselves to learn more about the customer and deliver value. Barclays is doing just that – delivering value that matters to their customer. Buffy is part of a growing cohort of digitally native brands that are prioritizing longevity over fast growth out of the gates. It’s a sign that the category’s maturing: In the past, brands saddled with millions in VC-funding could squash competition by outspending them on flashy marketing campaigns and brand awareness. With customer acquisition becoming prohibitively expensive, young brands like Hims and Rothy’s, in addition to Buffy, are turning their attention to loyalty plays and long-term growth plans. 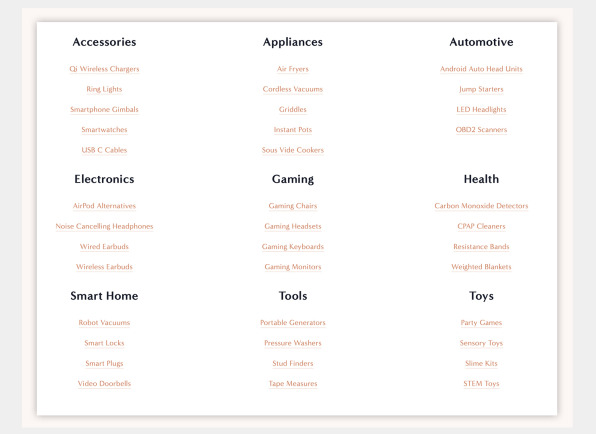 Additionally, Buffy isn’t afraid of Amazon like most brands in the direct to consumer category. Instead they see the ecomm giant as an ally to strengthen their brand awareness and complement their owned channels. Buffy’s goal is making sustainable bedding more readily available and affordable for their customers, so they’ve taken the unpopular route of selling through Amazon to quickly gain awareness and volume. This shift among DTC brands signifies a new perspective on how brands in this category are focused on fulfilling their brand’s mission by leveraging competitive giants to their advantage and focusing on retention versus fast scale growth. This requires a shift from traditional acquisition strategies to retention and loyalty focused demand gen strategies. BMW Financial Services wanted to interact with drivers more often than just at the beginning and end of their auto loan or lease. 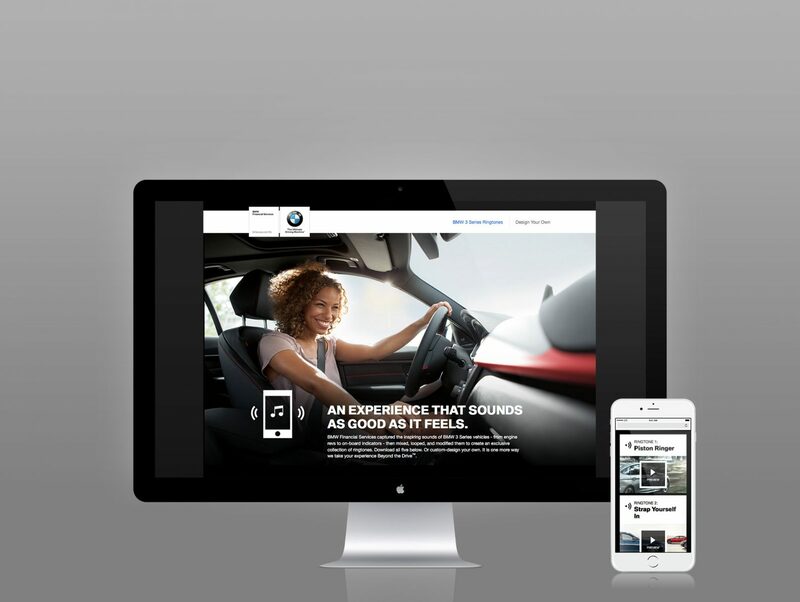 Pulling sounds from a real BMW 3 Series “driving machine,” BMWFS created a website that lets visitors design and download from a library of ringtones, even giving drivers the option to design their own. How do drivers find these ringtones? In addition to buzz in BMW forums and social media, the ringtones are delivered to each BMWFS account holder on his or her birthday, far different any crummy canned message or expected discount you might get from other brands on your birthday. Take a listen to the ringtones here. 1) Surprise and delight meets long-term usefulness: BMW drivers know the brand for sending surprise and delight swag, but this one also delivers value. Unlike a hand-drawn image of your car series or a discount for your birthday, this is one drivers will likely use for awhile, keeping the brand top-of-mind without being intrusive. 2) Insight: The brand knows its customer (they call them drivers) well. BMW drivers love the sounds of their car (or even the car they aspire to have). BMW knows this and acted on it. Legacy organizations have been looking for ways to compete with nimble startups disrupting their respective categories. However, the secret sauce for these legacy giants might be in modernizing their product offering by blending traditional services with disruptive feature enhancements. JPMorgan is looking to disrupt the banking industry by building a mobile-first bank aimed at millennials dubbed Finn. Finn which is an end-to-end mobile bank, recently rolled out nationwide. In addition to offering bread-and-butter checking and savings account functionality, it also offers services many firms in the personal finance startup space have built their businesses around. 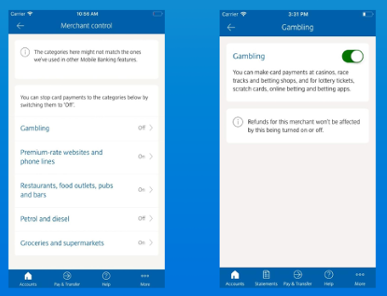 With Finn, users can create specific rules that determine when money will be transferred from checking to savings. 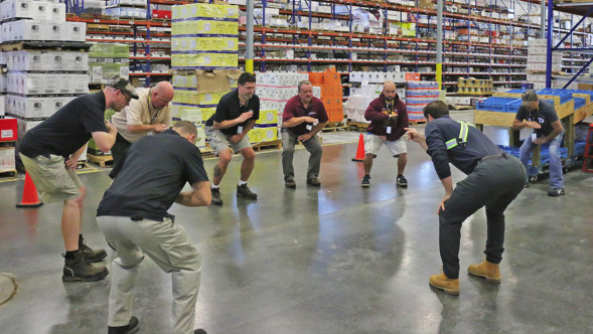 One rule, “Work Hard, Save Smarter,” puts aside a set amount of money on pay day. 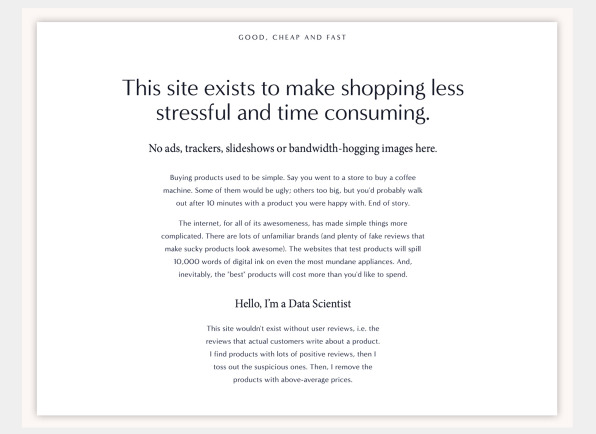 There’s also “the Limit Does Not Exist” which saves a predetermined amount of cash whenever a user spends over a certain amount on a purchase. That raises the question: what do fintechs do when big banks decide to step on their turf? It’s not all about the new kid on the block. Industry giants can compete with startups and even pose greater threats to them by transforming their product offering to meet and exceed their targets’ needs. Amazon announced Thursday that it would acquire PillPack, an online pharmacy with a nationwide reach, in a deal that could quickly make the online giant a major player in the drug business. The deal is precisely the kind of news that the health care industry has been fearing for months, as Amazon hinted that it was interested in expanding its reach to include prescription drugs, a $560 billion business. One barrier to entry for Amazon had been the bureaucratic hassle of securing pharmacy licenses in each state. But in acquiring PillPack, it is essentially leaping over that hurdle because the company is licensed to ship prescriptions in 50 states. Anxiety over what Amazon might do in health care has unsettled the industry and has been seen as one factor in a wave of recently proposed mergers, including CVS’s acquisition of Aetna and a union between the health insurer Cigna and Express Scripts, the pharmacy benefit manager. Last fall, perhaps in a move to get ahead of Amazon, CVS announced it would offer next-day delivery of prescription drugs and same-day service in some big cities. The entry of Amazon into the pharmacy business could make it easier for the big pharmacy benefit mangers to persuade the Justice Department that their contemplated mergers with insurance companies will not harm consumers by hindering competition. 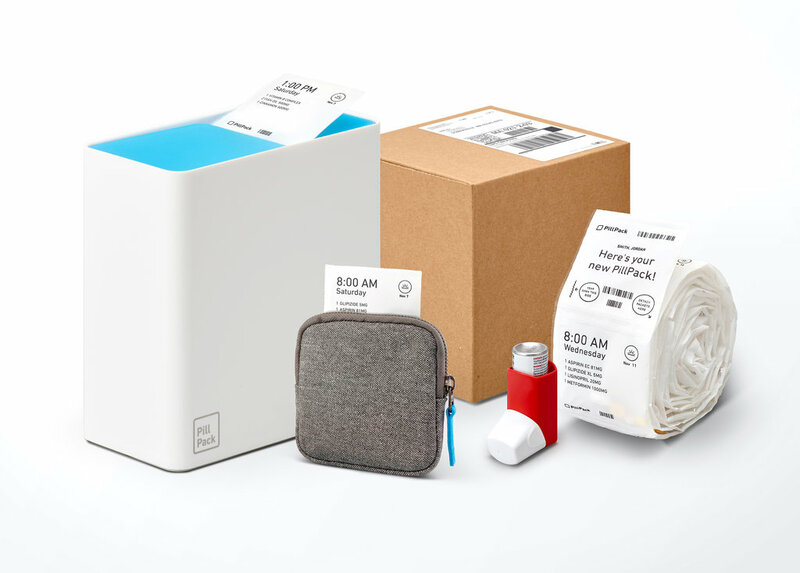 PillPack, which started in 2013, is an online pharmacy that distributes its pills in easy-to-use packages designed for consumers with chronic conditions and multiple prescriptions. The company sorts prescriptions by the dose and includes a label with a picture of each pill and notes on how it should be taken. It has long been seen as a potential target for larger businesses looking to expand their reach in online drug sales, including Amazon and Walmart. While innovative, it is not necessarily a major player in the pharmacy world, bringing in about $100 million in revenue in 2017, according to the company. But its offer of a unique service — the easy-to-use packages — with a national reach made it an attractive prospect for Amazon, said Adam J. Fein, chief executive of the Drug Channels Institute, who studies the industry. If Amazon can break that habits, it could significantly upend the industry, said Stephen Buck, a pharmaceutical supply-chain expert who co-founded the drug-price website GoodRx. “It helps people to eliminate that trip and buy everything they need from Amazon,” he said. Independent online pharmacies have had a tough time because the number of consumers who do buy their prescriptions through mail-order are often required to do so by their insurance plans. Pharmacy benefit managers have traditionally offered incentives to employers and insurers who require that long-term prescriptions be filled through the benefit managers’ own mail-order pharmacies. And for short-term prescriptions, like antibiotics, many consumers prefer their corner drugstore because they often need to fill those drugs right away. About 85 percent of prescriptions in the United States are for refills, according to Iqvia. But Mr. Buck and others said Amazon may have a new opportunity because of the growing number of Americans without health insurance or those who have such high deductibles that they may be better off bargain shopping on their own. He estimated that about 25 million Americans now fall into that category. Amazon, what don’t you do? Regulations, get out of my way. And no, this isn’t just some wacky concept outlined in a recently granted patent. 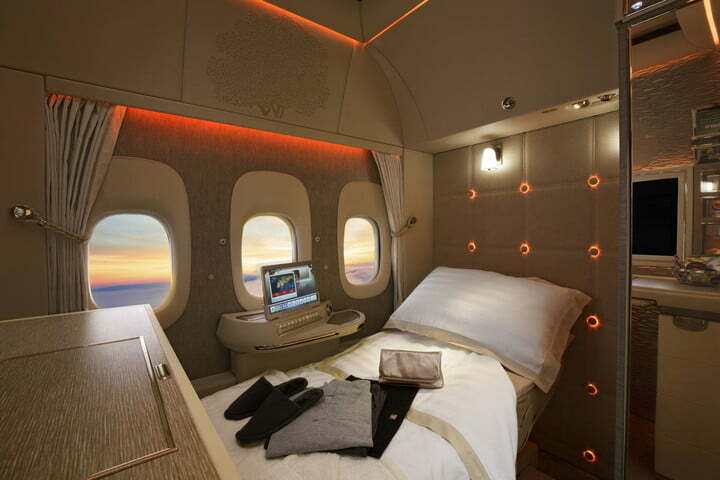 The first virtual windows are already here, in the first-class cabin of Emirates’ newest Boeing 777-300ER aircraft. Clark said external fiber-optic cameras stream images to the virtual windows, apparently offering high-quality images that are actually superior to what you see when looking through a regular aircraft window. But as the BBC points out, the design could prompt safety concerns. For example, in an emergency situation like a fire, cabin crew need to be able to see outside the aircraft to assess the situation before initiating evacuation procedures. If the plane’s power systems fail, that could result in the displays shutting down, leaving crew and passengers stuck inside a truly windowless, and possibly dark, aircraft. While possibly more pleasant for travelers AND efficient for air travel, could this also be an additional engagement opportunity for brands? Or an educational opportunity for travels? “Depending on a person’s gestures — a welcoming thumbs-up, shouting or frantic arm waving — the drone can adjust its behavior, according to the patent. As described in the patent, the machine could release the package it’s carrying, change its flight path to avoid crashing, ask humans a question or abort the delivery. 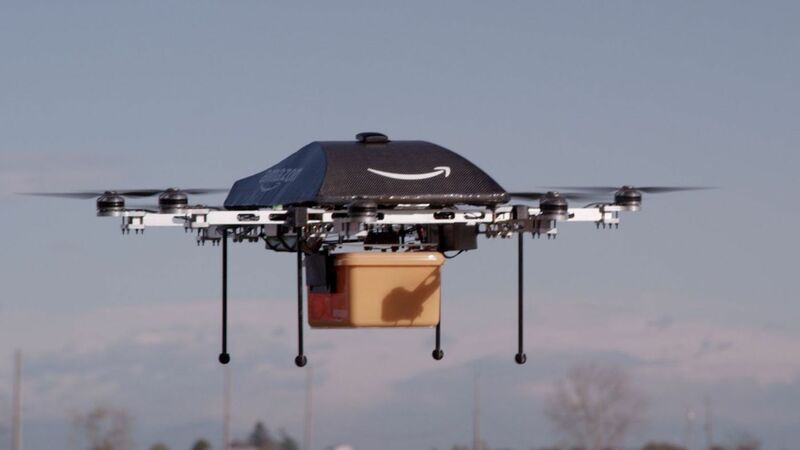 Among several illustrations in the design, a person is shown outside a home, flapping his arms in what Amazon describes as an “unwelcoming manner,” to showcase an example of someone shooing away a drone flying overhead. A voice bubble comes out of the man’s mouth, depicting possible voice commands to the incoming machine. This adds a new layer to the basic idea of small aerial robots dropping items you order out of the air. The more they can humanize the robots, the more they mimic actually deliverymen. And given the feedback we have seen on social about Amazon’s own human delivery service, this could be a major improvement. Highly recommend reading the article as it goes on to examine the mindset shift that new, digital-savvy brands have been able to make in treating customers as users vs. buyers, and the success they’ve seen. At the highest level, looking at customers as continual users vs. one-time buyers is a core principle to be considering when designing the customer experience around your brand. To be fair, there are certain industries that lend it self better to usage than others. For the pharmaceutical industry, this is a crucial mindset change that we need to help our clients understand if the industry is to evolve. By thinking of physicians as people that use a specific drug to treat patients with a specific condition and patients that use the products to help treat illnesses, we can focus our efforts on optimization each instance of use around these treatments to be a positive one. This is crucial to the initial trial and ultimate habit formation that drives adoption and retention. Last month, Chinese e-tail giant Alibaba launched an easier-to-use version of its Taobao e-commerce app built with senior citizens in mind. Although the app has a simpler interface, elders can access the same features – such as personalized shopping suggestions and live-streamed content – as those with the original app. It also makes it easier for seniors to register an account and browse products, delivering an improved user experience, from personalized recommendations to after-sales service. Taobao also added a feature that lets seniors get in touch with their families with the touch of a button. Over 30 million Taobao users are 50 or older. We often hear about tech-driven companies clamoring to cater to millennials and Gen Z-ers. The stereotypes dictate that younger consumers are ‘digital natives’, radically different to older ‘digital immigrant’ counterparts. But that’s not really the case. Consider one recent telling sign of the times: the number of senior Airbnb hosts in Asia is rising faster than all other age groups. Older consumers are increasingly exhibiting the same behaviors (digital and otherwise) and have the same expectations. A Gizmodo reporter set up a smart house using countless gadgets to connect as many appliances to the internet as possible. Her mission was to find out what it was like living in a house where everything was only a voice command away. At the same time, her colleague set up access to her home’s router, receiving all of the information each device was sending to her internet service provider. What they discovered is two-fold. 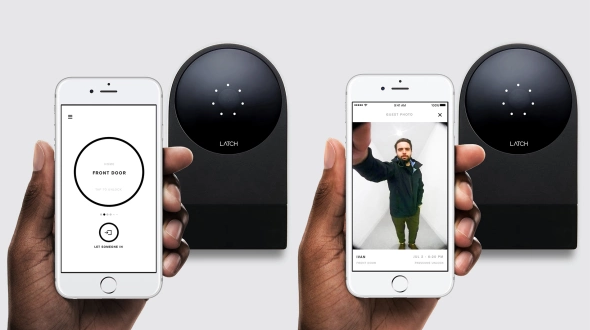 The first is that a shocking amount of information is sent, unencrypted, from smart devices. 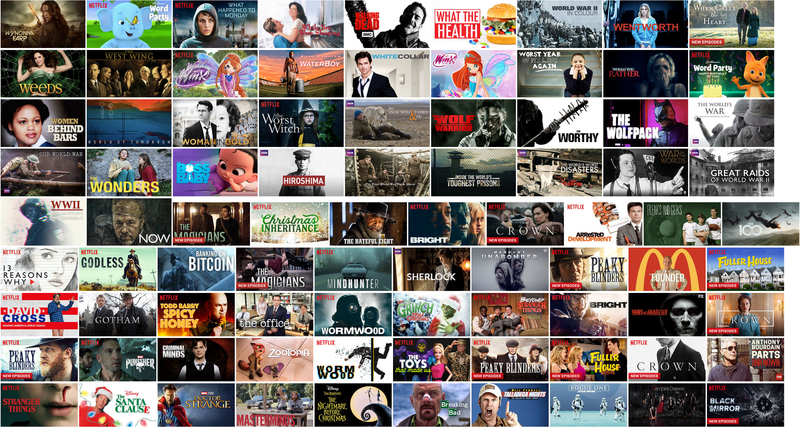 This includes shows watched on Hulu, the images of suggested Netflix content, whether your motion-activated camera has been triggered recently, and whether your smart lightbulbs have come on or been adjusted. The second is that setting up this type of house on one’s own is a burdensome task. The author buys two separate coffee makers before realizing that a third would have been better suited to her setup. Countless notifications from robot vacuums, coffee makers, security cameras, and more made her anxiety skyrocket, and that was before she even realized how much that data was being shared. It’s exciting to imagine a world where everything in your home works in perfect harmony and effortlessly takes care of your domestic needs, but the reality is that most people only have a couple of smart devices in their homes and don’t take full advantage of the suite of possibilities. When we design smart interactions, we should be mindful of the mental and emotional toll that things like notifications, alerts, alarms, and pings will have on users. I thought the house would take care of me but instead everything in it now had the power to ask me to do things. Ultimately, I’m not going to warn you against making everything in your home smart because of the privacy risks, although there are quite a few. I’m going to warn you against a smart home because living in it is annoying as hell. Overview: There’s been an upward trend in brand managers responding to customer reviews–both good and bad ones–for the last few years, particularly in the hospitality industry. Roughly one-third of all reviews receive a response, and nearly half of all hotels respond to reviews. Two professors set out to learn if by responding to reviews, customers would leave better ratings. Methodology: The research team looked at tens of thousands of hotel reviews and responses from TripAdvisor, which uses a review scale from 1 (terrible) to 5 (excellent). The vast majority of brands only respond to reviews on TripAdvisor, leaving Expedia reviews alone. The research team looked at Expedia as the control group and TripAdvisor as the variable group in an effort to establish a causal link between responses and improved ratings. Results: They found that when hotels start responding they receive 12% more reviews and their ratings increase, on average, by 0.12 stars. While these gains may seem modest, TripAdvisor rounds average ratings to the nearest half star: A hotel with a rating of 4.26 stars will be rounded up to a 4.5, while a hotel with 4.24 stars will be rounded down to a 4. Therefore, even small changes can have a significant impact on consumers’ perceptions. They also found that when customers see management responds to reviews, they’re less likely to leave lengthy negative reviews. Implications: Respond to customer reviews. We’re operating in the Age of the Customer, and they expect their comments–particularly the negative ones–to receive attention. While responses can clearly help decrease negative comments and increase brand ratings, reviews also give us a wealth of information about moments that matter, pain points, etc. that exist in customers’ journeys. Although the idea of a blockchain is simple enough – a ledger that securely tracks a list of events or records – the idea of cryptocurrency is slightly more complex. Where does it come from? Why does it have value? How does someone buy it? What do you do with it once you have it? Thankfully, Square’s Cash understands this struggle and has launched an explainer on Bitcoin with language that even a child could understand. 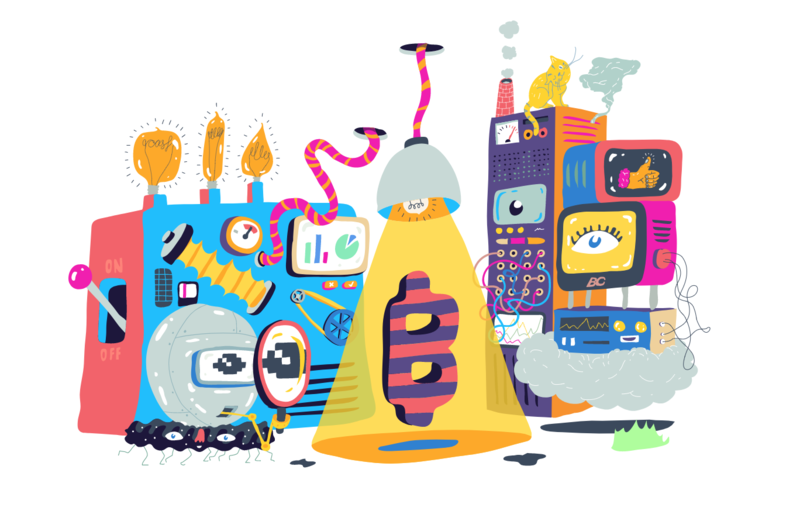 Called “My First Bitcoin and the Legend of Satoshi Nakamoto”, the page introduces brief explanations of cryptocurrency and the blockchain with illustrations of adorable creatures and wobbly parallax interactions. It answers all of our burning questions, and sticks the landing by encouraging readers to buy their first slice of cryptocurrency using Cash. Unlike lengthy explainers that dive too deep into the nitty gritty of bitcoin mining, blockchain technologies, and secure storage methods, this colorful and friendly page covers a truly introductory view of cryptocurrency. From here, a user could chose to dive deeper into any one area, use Cash to jump into purchasing with both feet, or just feel confident nodding knowingly when Bitcoin comes up in conversation. An average restaurant might waste 100,000 pounds of food a year. Of the 50 billion pounds wasted en masse by restaurants across the U.S., only 1.4% is donated. Most edible food ends up in dumpsters. Any attempts to donate food might have involved multiple calls and complicated coordination, taking time that restaurant workers and short-staffed shelters/food banks didn’t have. To solve the problem, a collaboration between DoorDash and Feeding America was born. Using MealConnect, a Feeding America app, restaurants can now snap a photo of extra food, and the platform finds a nearby food bank, shelter, or other nonprofits that need it. 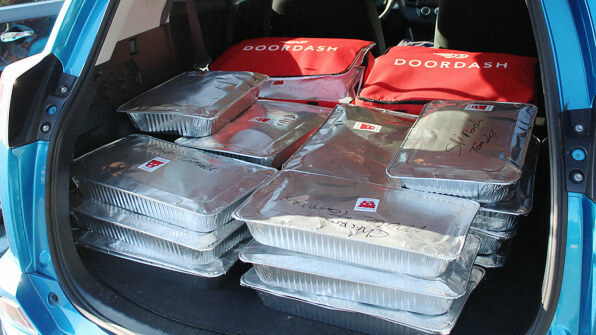 Then DoorDash uses its delivery algorithm to find the most efficient way to transport it. DoorDash drivers who donate their time then come to collect and deliver the food.